SUCCESS-ifying teachers' class management (and enjoyment) with fresh (not normal) thinking about students' social emotional development. Teachers don't have to work harder, they just need to work smarter - with Developmentally Appropriate Practices (DAP). There are BIG differences, and BIGGER consequences to be considered, when we compare parenting and teaching approaches. Deborah Stewart, a highly respected early childhood educator, has noticed stark effects on young children's behaviors, and development of their potential as competent and confident individuals, when they're been 'helicoptered' most of their young lives. The April 8th, 2019 issue of Education Week, was titled “4 Things Teachers Shouldn't Be Asking Their Students to Do.” Those 4 things were (1) BEING SILENT, (2) SITTING STILL, (3) FORCING APOLOGIES, and having (4) ZERO TOLERANCE FOR FORGETFULNESS. Today's interview is the Sheila Marshall, a First/Second Grade teachers. Sheila addresses a variety of challenges in ways that help her young students grow as engaged, cooperative, empathetic, considerate and mutually respectful learners. Please excuse the technical difficulties that make his recording a bit clunky. Fortunately, today's educators can be even more effective than our own teachers thanks, in part, to contemporary brain science of learning which, if we implement its basic principles - which aren’t all that complicated, we can make a world of difference in our students’ social, emotional, cognitive and life skills development. This second episode about helping young children move through the times and the challenges that cause them to feel frustrated explores some of the not-so-obvious factors that are all part of the mix. Wendy's insights, as always, are heartfelt, honest, and academically sound. Frustration is a powerful emotion experienced by young children, and they need our help to navigate those choppy waters. New teachers will very likely experience children's expression of frustration as one of their biggest challenges, which is why we invited Wendy Zacuto back to share more of her insights from her decades of experience as a teacher, a principal, an academic researcher, a parent and grandparent. 3 Habits that get in the way of being the kind of listener that creates real connection and mutual respect with young students: Learn to appreciate how essential it is to be a fully present listener with your young students... even just for brief moments. .. and then consider the simple advice we share about how to break the habits that are getting in the way of your being a fully present listener. Insights and experiences, from a kindergarten teacher with 22 years classroom experience, around the all-important topic of LISTENING … a topic some consider to be a nearly insurmountable challenge, yet which Bill Hotter and I agree warrants far more attention and respect… because it’s a worthwhile challenge that, even though it may take us out of our ‘comfort zones’ …. it will definitely bring us into more meaningful connection. 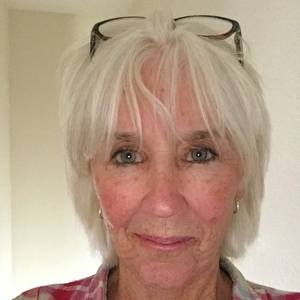 Wendy Zacuto has always sought to integrate the finest wisdom of her mentors and the numerous educational approaches she has studied, with her own innate instincts about how real learning is elicited and nurtured in our youngest students. She is a Master Educator in the truest sense. Wendy requested that this interview be respectfully and lovingly dedicated to the memory of one of her most important mentors: Jeneé Gossard - about whom she shares much inspiration in this interview. Creating Cultures of Thinking, by Ron Ritchhart, is a book so rich with benefits for every classroom in the world … including, most definitely, benefits for your young students’ social emotional learning and development, that it only makes sense to create at least one episode focusing on a number of Ritchhart’s main points about the words we introduce and use in our classroom that have subtle, yet POWERFUL impact if we use them intentionally and consistently. Learning what really matters, discovering the value of one's own particular form of intelligence, heart and courage are the benefits Dorothy, the Scarecrow, the Tin Man and the Lion received by taking on the challenges presented to them by the Wizard of Oz. Listen to this episode to find out what that has to do with Social Emotional Learning from the Kids' Own Wisdom perspective. This episode will expand your perspective on the topic of APOLOGIES, and very likely confirm your own deepest insights about meaningful and truly effective APOLOGIES that genuinely benefit young children’s formative interactions. I am so grateful to long-time teachers Deborah Stewart and Bill Hotter for their contributions … different, each from the other, yet entirely and completely complementary … and both so wise. Here's a practical question for you: how much time, effort and rewards are required to motivate kids so they'll engage with learning? So they'll cooperate more and more of the time? What does the research tell us about rewards for positive behaviors? Students' social emotional learning is woven into every moment of every day ... and that's especially true for our youngest students. The more we can bring genuine respect into all interactions with our students, the more they'll be intrinsically motivated to respond in ways that create Win-Win's for everyone. Bill Hotter, an elementary school teacher just embarking on his 23rd year in the classroom, tells us how he "gets there" with his kindergarteners. It’s SO important to understand how praise effects young kids, and to distinguish between the kinds of praise that deepen and nurture kids' healthy self-awareness and self-esteem vs. the kind of praise that kids, even young kids, interpret as undeserved, therefore insincere, thereby making the person who gives the praise untrustworthy. Building belonging in the classroom is one of the most important formative influences we can bring into young children's lives. For young ones, just starting out in the new adventures of preschool, kindergarten and first grade, discovering shared values, feelings and instincts with classmates and peers is a powerful approach to building the healthiest kind of belonging. The kind of belonging that - very long term - can help to neutralize feelings of isolation that, respected research has shown, are one of the deep-rooted influences that, so heartbreakingly, result - later on - in school shootings and student suicides. Kids DO understand consequences, and they are capable of making choices that result in happier consequences more and more of the time… without constant reminders from us. They just need consistent opportunities to consider their own answers to the right kinds of questions, under the right kinds of circumstances, to activate and exercise their own critical thinking and collaborative problem-solving skills. SELF-RESPECT is a healthy, ground-zero, foundational sense (which goes beyond ‘words and thinking’) to a core of spontaneously responding to the fact that each of us is worthy of being acknowledged, and worthy of being treated well, in spite of our imperfections. Healthy self-respect, cannot be forced, but it can be activated, engaged and it must be exercised for students' enduring social emotional development. Empathy is a wide-ranging topic. We began by clarifying the differences between emotional empathy, perspective taking, and authentically caring behaviors. Then we briefly discussed the different ways that people’s empathy is expressed - whether in ways that we expect and can relate to or not, and we looked at reasons for some of the those differences. We concluded with some very practical starting points for providing the most effective Social Emotional Learning in our classrooms. Children pick up on our attitudes and feelings towards them - no doubt about it. This episode’s topic is deeply personal for me… Our attitudes and feelings toward our students are central to what we do, who we are with our students, and how much gets accomplished every day in our classrooms. I hope you agree, but if you don’t, or if you’re on the fence, I hope you’ll listen and share your thoughts in the comments. Thanks! Granted, sometimes it can look like children only care about what’s ‘FAIR’ for themselves, and not about what’s fair for others, but what’s really going on when we see those kinds of automatic reactions and behaviors from our young students? And what are the positive, long-term implications of enabling students to expand their personal definitions of FAIR? Ep. 7: Deborah Stewart - Master Preschool educator. Deborah gives us a fresh and important perspective on young children's challenging behaviors. Let us know what you gained from this interview, and if you think it would be a good idea to bring Deborah back - often. Include questions, if you'd like to. Busting this myth requires us to recognize that there are many different ways to teach, because within every class there are many different ways that our students learn. Ep. 5: MYTH #2 - Children Pay Too Much Attention to Each Other and Not Enough Attention to Their Teacher! With a reasonable mindset adjustment, the fact that kids pay so much attention to each other can turn into a powerful teaching aid that works to everyone’s benefit - for both you and your students. Ep. 3: Does Your Social Emotional Learning Approach Get Remembered and Used? Are your students engaging with and growing their social emotional skills with your current approach, whether or not it’s a structured approach? Are your students able to adapt social emotional lessons when they need to apply them in the context of new challenges? 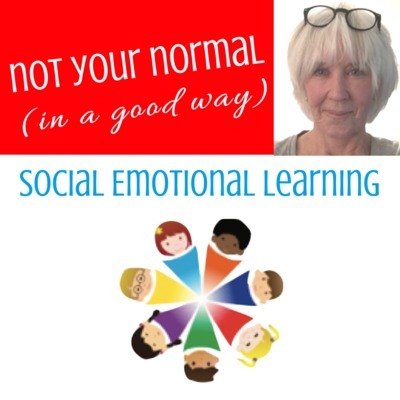 Ready for more Not-Your-Normal Social Emotional Learning ideas? Social emotional learning, (which has a huge effect on class management, because it has a huge effect on all the interactions within your class) is the natural starting point for our youngest students to develop their critical thinking skills ... for everyone's benefit ... yours and theirs ... short and long term. This podcast introduces the possibility of discovering how much more we can accomplish with students' Social Emotional Learning (SEL) than behavior corrections, awareness about feelings, and character development. Even though all that is good, we can do so much better. Students don't need to be "fixed." Instead, students need their innate empathy, critical thinking and collaborative problem-solving skills to be exercised and anchored - easier for teachers, and so much better for students' long term wellbeing.